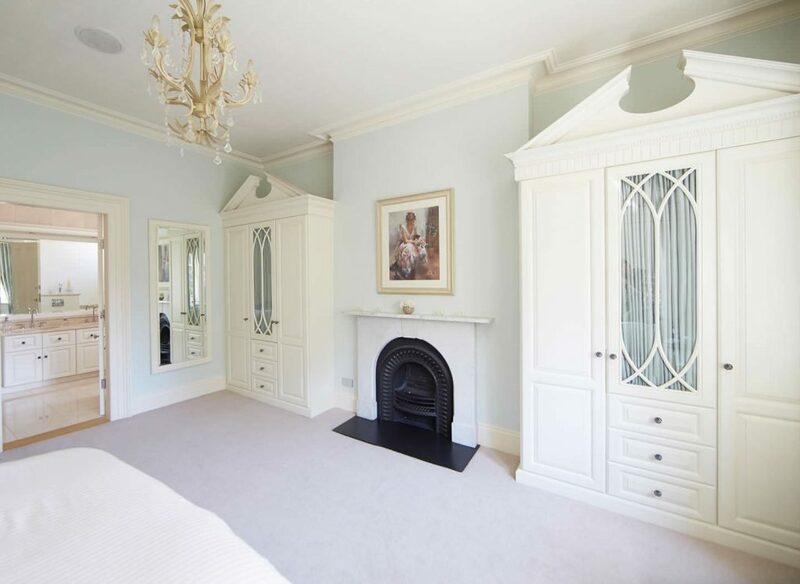 Our retired customers loved the spacious master bedroom and en suite bathroom of their period home. However, they were looking to update the design and struggled to find furniture pieces that they felt suited the character of their property as well as offering them all the storage they required. 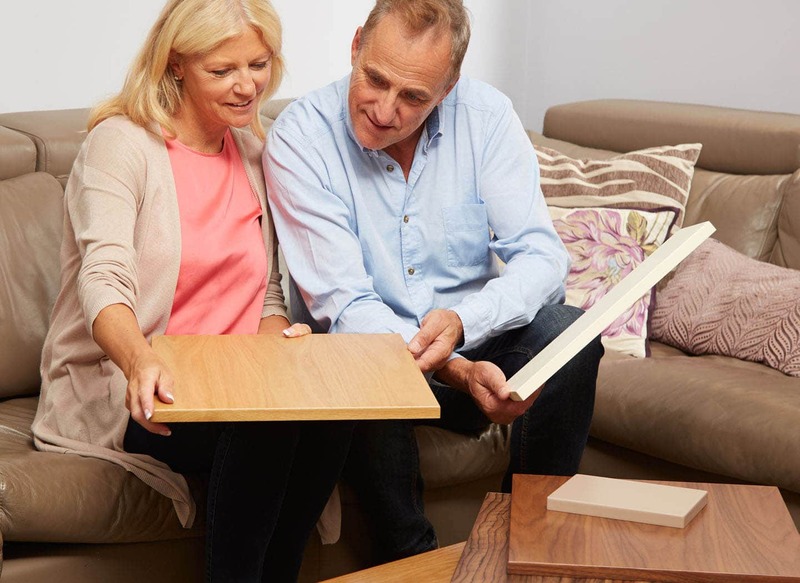 After a long and difficult search for their dream bedroom, they instantly fell for the Shades of Oak collection in our traditional fitted furniture range. 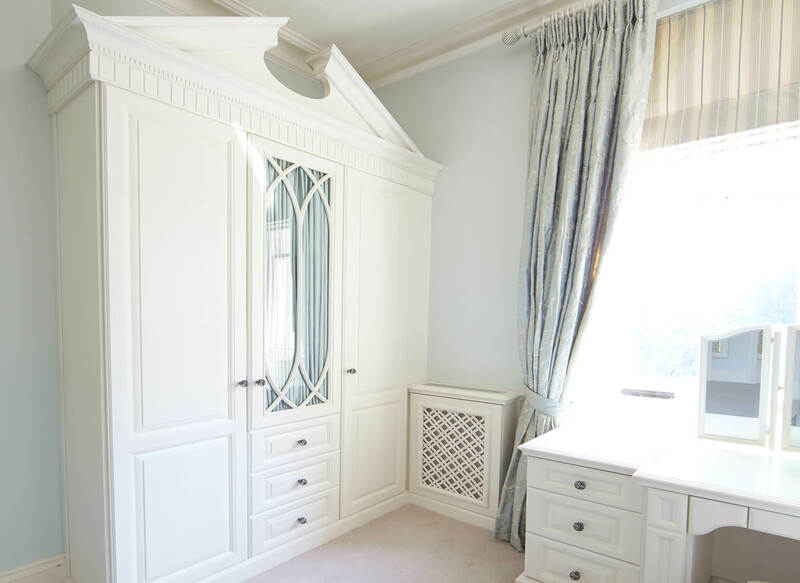 The dentil mould cornice and powerful wardrobe pediments really caught their eye and they felt it was truly in line with the design they wanted. Two wardrobes were fitted either side of the fireplace, to balance out this unique statement feature. 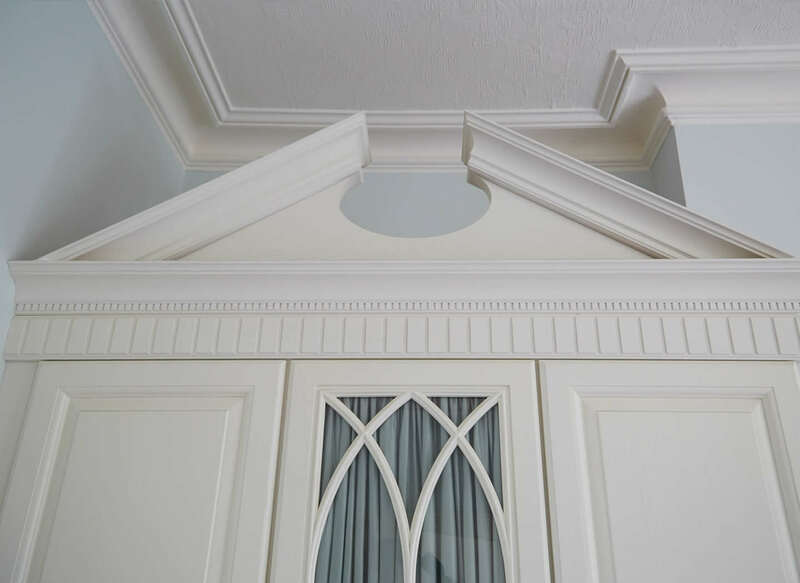 The fitted pieces instantly added a commanding presence to the bedroom, thanks in no small part to the elegant detailing and striking pediments. Featuring a mix of cupboard space and soft close drawers, the glass fronted cabinet also incorporated coloured fabric that tied into the room’s existing colour scheme. 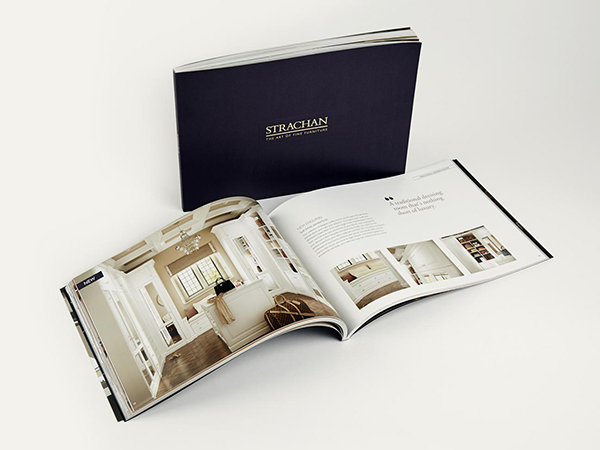 "We were worried that we’d have to make big compromises but our Strachan designer found us just what we were after. We got to choose the colour and finishing touches too, which makes it really individual to us. I only wish we had found Strachan sooner." 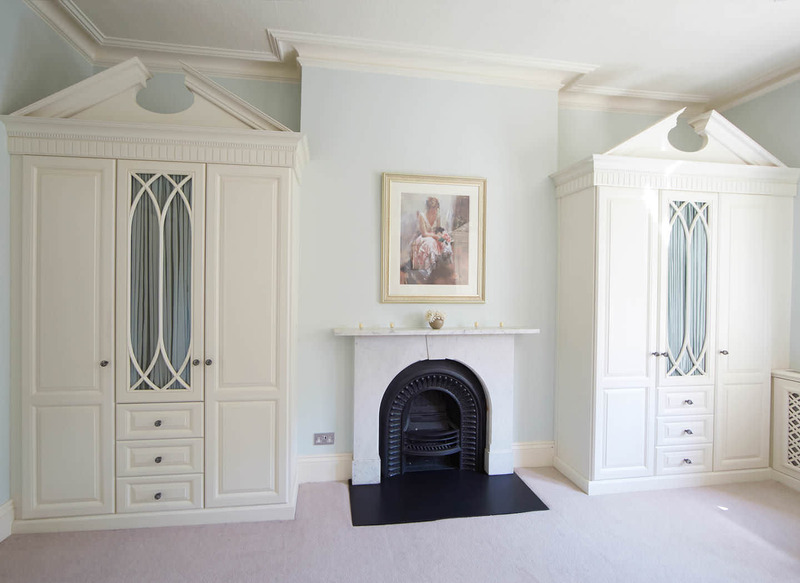 Alongside the two wardrobes, Strachan also designed and created a matching dressing table, wall mirror and radiator covers. These all boasted the elegant Shades of Oak styling as well, providing additional functionality in the bedroom while tying the space together beautifully. One thing the couple really loved was being able to add their own personality and taste into the design, through their choice of colour finish and handles. They chose a bespoke colour wash to ensure that each piece matched into their room exactly how they wanted. 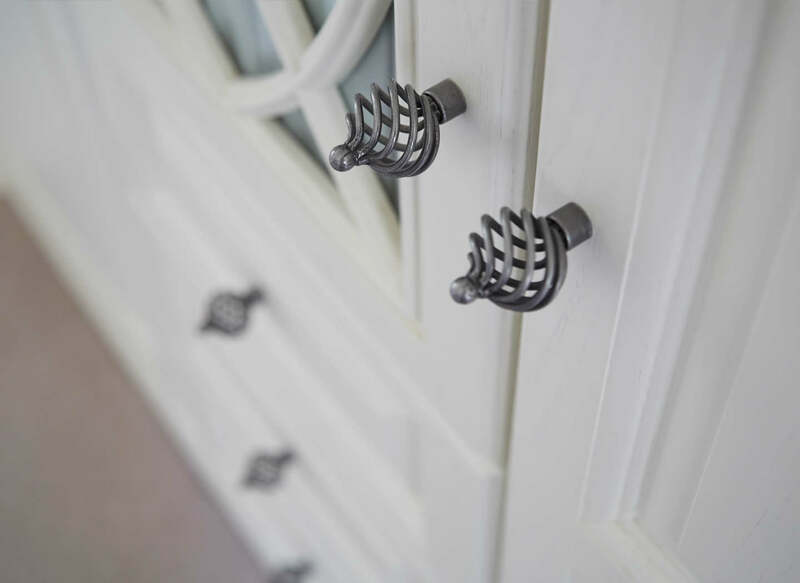 They also decided upon statement handles across all their cabinets for added visual impact. The timeless Shades of Oak design filters through into the en suite bathroom. 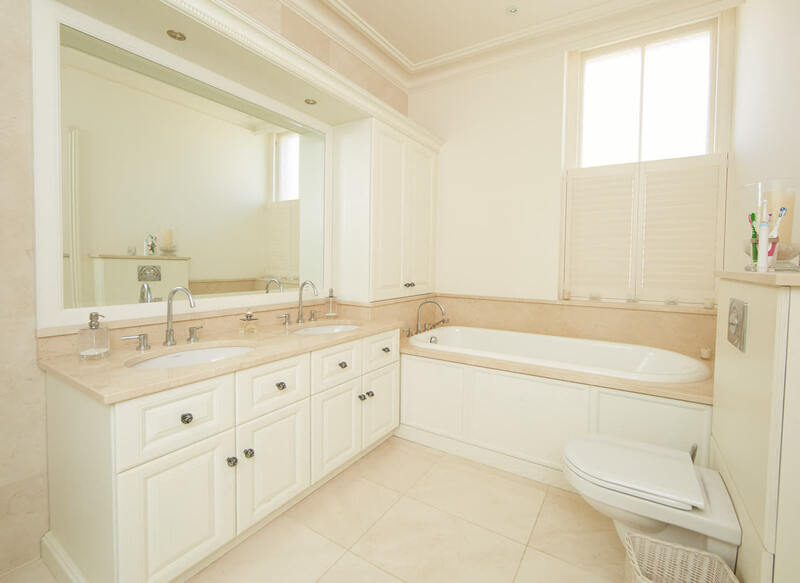 Here, under and overhead storage has been expertly fitted to the bathroom’s dimensions. Strachan added the same elegant lines and eye-catching handles to the cabinets to co-ordinate with the bedroom, while a full-length mirror and LED downlighting incorporated modern comforts into the traditional design.